State Department says administration has yet to make a "final conclusion" on who is responsible for murder of Saudi journalist. 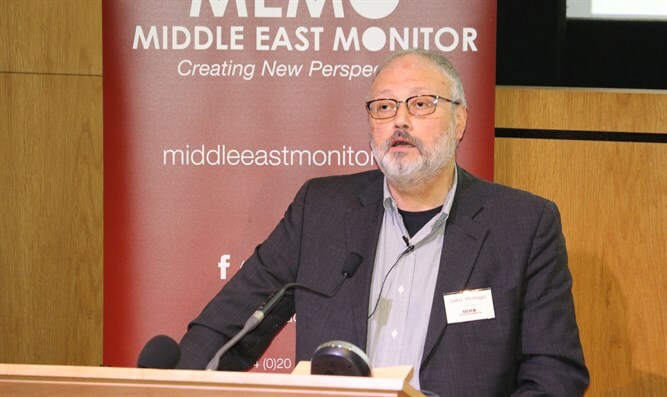 The State Department on Saturday made clear that the administration has yet to make a "final conclusion" on who is responsible for the murder of Saudi journalist Jamal Khashoggi. The statement came following reports claiming that the CIA concluded that Saudi Crown Prince Mohammed Bin Salman ordered the killing. In response to the killing of Khashoggi, the US revoked the visas of 21 Saudi nationals implicated in the crime. Secretary of State Mike Pompeo told Saudi Crown Prince Mohammed Bin Salman recently that the US will hold accountable all involved in the killing of Khashoggi. Seeking to sanction Saudi Arabia even more, Republican and Democratic US senators this past week introduced a bill that would suspend weapon sales to Saudi Arabia and prohibit US refueling of Saudi coalition aircraft for Riyadh’s campaign in Yemen against the Iranian-backed Shiite Houthi rebels.